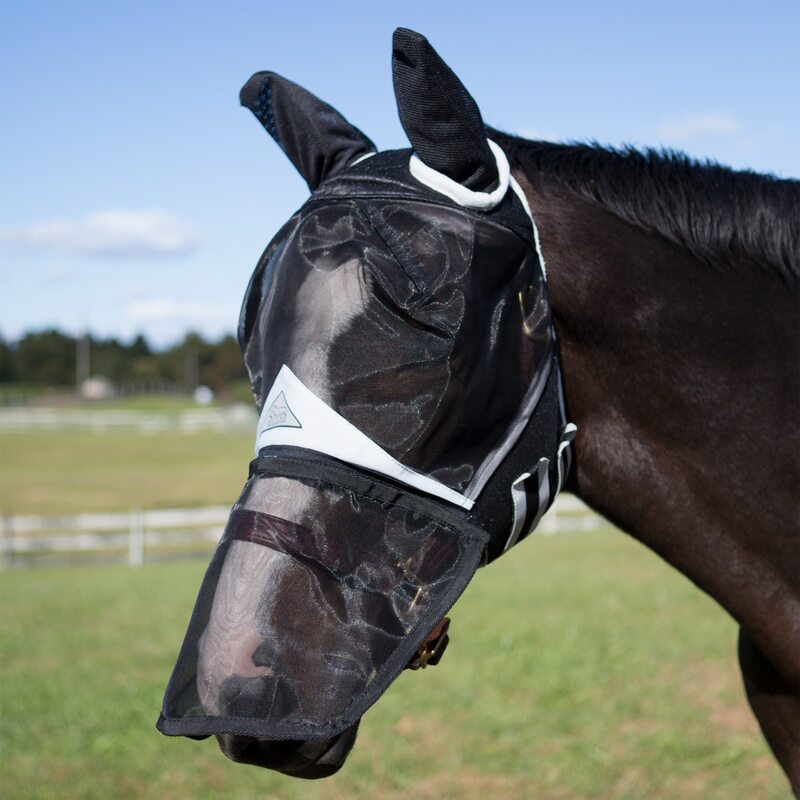 A full face mesh fly veil with ears and removable nose extension to provide flexible protection against flies. 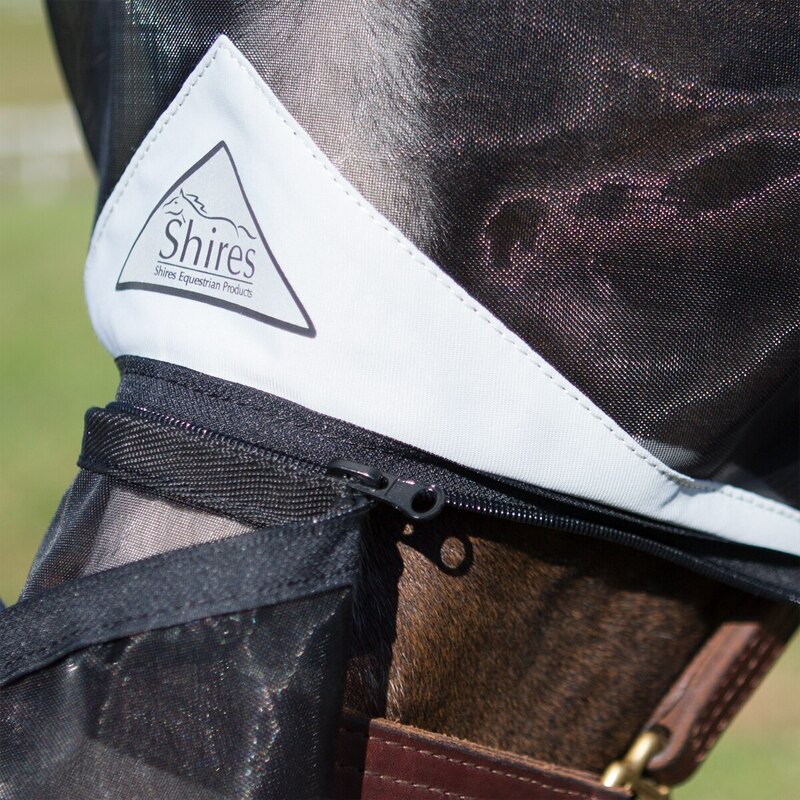 Mask also features touch-close straps and fleece padding along the seams. 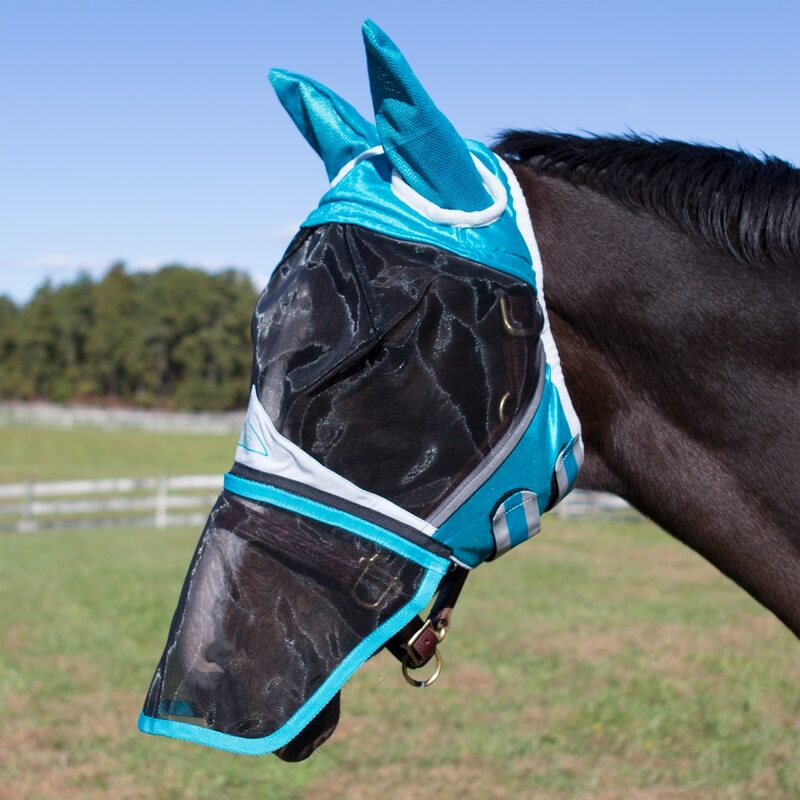 Full face with removable nose extension.